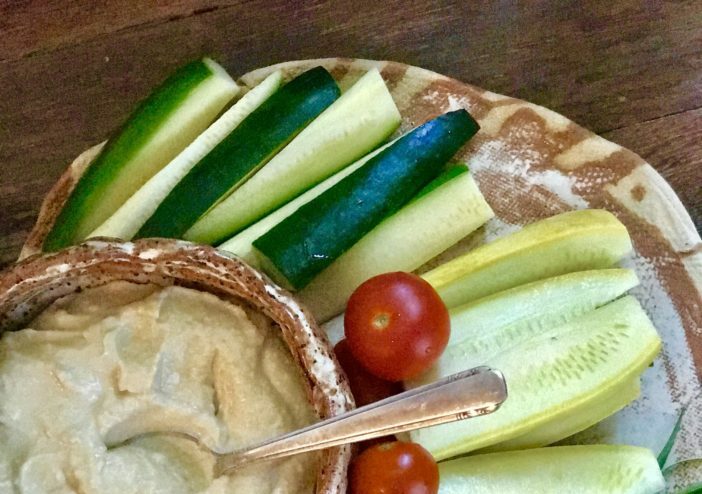 Here you see a picture of raw organic veggies with a lil’ side dish of hummus. I understand you may not like that dish, but stick with me here! I believe we can all agree that veggies are important for our overall health. But, what about brain health? What are we eating or not eating to optimize cognitive power? Do you know of anyone who suffers from any form of dementia? As you may know, my momma has Alzheimer’s. I’m more passionate and determined today than I’ve ever been to understand the brain and the options we have for fueling our brains WITH FOOD. I know there’s nothing, absolutely nothing I can do for my momma right now to improve her health. Alzheimer’s is still at this point an incurable disease that’s affected 5.7 million people. Millions of dollars are spent on designing the next “miracle drug” for Alzheimer’s. Research shows that by 2050 there will be 50 million people with Alzheimer’s. Unbelievable, right? Should we be more diligent in rethinking our approach putting our energies and money towards preventing this terrible disease? What are your thoughts? Over a year ago, Momma was on 17 meds, and she was diagnosed to be on her last stage of Alzheimer’s. After we moved her to a new home from Dallas, I asked her nurse, Gina, if she’d work with me on taking Momma off most of her meds because honestly, they were killing her faster than the disease itself. Gina agreed. At this point, Momma didn’t need to be on meds she should have never been prescribed, because she didn’t have issues relating to those meds. Also, when you’re taking 17 meds, can you imagine the side effects from the drugs alone? It totally baffles me…I simply don’t understand the logic. The good news? Gina was able to get Momma down to 3 meds! What a blessing she’s been to our family. I’ve posted a recent photo of my momma. Take a look for yourself! She looks and feels good most days, all things considered. Praise God! Now, I’m a southern girl…Texas to be exact (wink), and I’m all for chicken fried chicken, mashed potatoes with white creamed gravy, and homemade rolls ’n cornbread. And oh, let’s don’t forget that blackberry cobbler swimmin’ in butter in a skillet! Oh my gosh, see how tempting all that food is just talkin’ about it?! Is your mouth watering like mine? It might be, but the last thing we need to be eating is fried and processed foods. The last time I checked, there’s no brain food in there. Have I been known to cheat…absolutely! So, there’s no pointing fingers here y’all, and I’m guilty too of fallin’ off the bandwagon. But, if we don’t educate ourselves on what to feed our brains, then we’ll become a statistic too, sooner than later. So, what are we doing to nourish our brains? Well, that’s up to you whether or not you want to change your habits. Maybe you already eat healthy, and you just need a few reminders or someone to hold you accountable? That’s awesome! Over the past several years, I’ve read and researched everything I can get my hands on in reference to Alzheimer’s. It’s been almost an obsession to say the least. If you have someone close to you who is struggling with the disease, then you understand. Starting today, I’ll be sharing with y’all how I’ve changed my eating habits, the struggles of staying focused, and food ’n recipes that I think you will just LOVE! I’ll talk about lifestyle changes and exercise which are huge factors in the prevention of Alzheimer’s. After my momma was diagnosed with the disease years ago, my eating habits and lifestyle has changed dramatically. If we’re really paying attention to our brain health, we need to wake up and do something different to achieve the results we want. Unfortunately, sometimes it takes an illness of ours or a family member to wake up to reality. I’m here to encourage you to not wait until a health issue arises like Alzheimer’s. From this day forward my focus is redirected to a bigger cause. 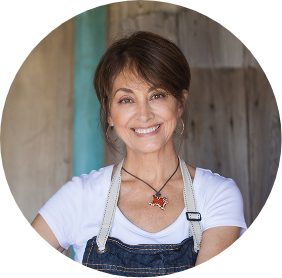 I have designed and produced pottery for many years, but I’m committed to not only blogging about food for the brain, but educating people on findings of sound research for optimizing the brain. Meanwhile, take an assessment of your life, find time to relax, but be pro-active in choosing healthy food for your brain, so that you can enjoy a long ’n happy life.